You can’t miss Neptune Park in Saratoga Springs, Utah, thanks to the massive 30-foot climbing pyramid that stands as the star attraction. One of only three similar structures in the world and the largest of its type, the Neptune pyramid is taller than most two-story homes. 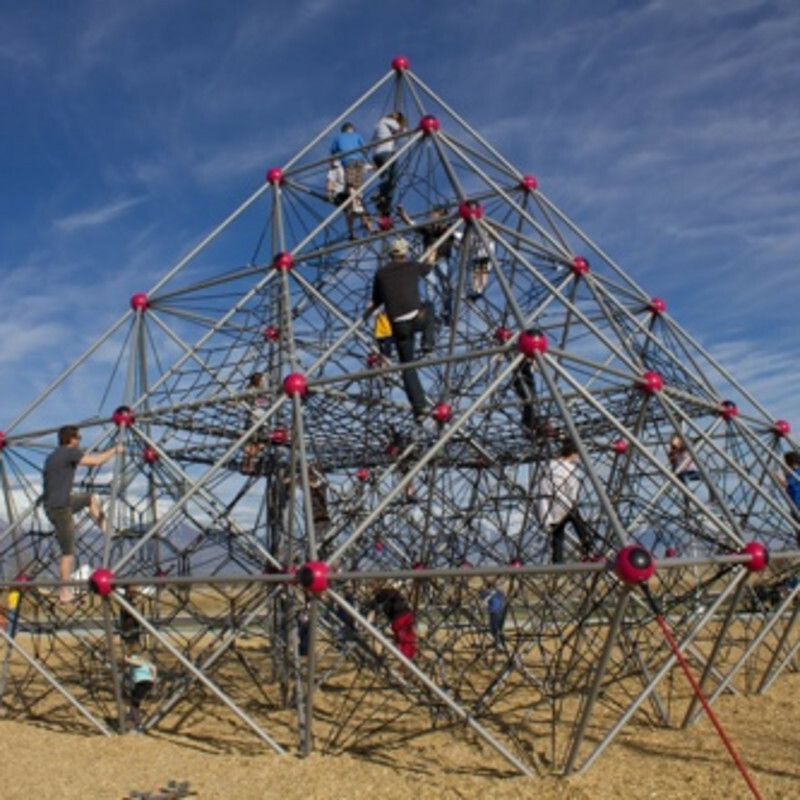 The pyramid features a rope structure inside of the pyramid that is useful for both climbing and catching someone who falls, making the equipment safe when used properly. During the later hours of the afternoon, it’s not uncommon to find plenty of adults on the pyramid, as well as children. The park also features plenty of other activities for those who would prefer to stay closer to the ground.